Hello, Faith Community! Pastor Tim Porter is away from the office on vacation this week. Today’s UpDate includes updates from Pastor Larry Szyman, information on this Sunday’s sermon and important FCC news and events. “It’s Sunday evening and I am sitting in a spacious,comfortable yet warm (no AC, 90 degrees all week) guest house on the grounds of Four Corners Ministries near Cwero (yes, that Cwero), Uganda. This is 40minutes east north east of Gulu, where we have stayed in our past trips. FCC Hudson Elder John Blum is with me as we are in a due diligence process designed to ask questions and seek information to see if we have the partnerships, plans and opportunities to see a locally led disciple-making church planting movement established in northern Uganda. “I will keep this intentionally brief and send a larger post tomorrow. John and I spent last night in Adjumani, which is getting closer to the South Sudanese border. There are a number of refugee settlements (they are no longer called camps as people seem to settle there, average stay is 17 years!) as hundreds of thousands have poured over the border to avoid war. We came to assess 18 potential trainees for the new training cohort we hope to start in 2019. I will talk more about this process as well later. “We stayed in a rather nice hotel (by northern Ugandan standards) called Zawadi. I was looking forward to this place because it has air conditioning and my sleep has been really poor this trip, although I feel fine. After having a late dinner,we went to our rooms where I did a little work and reading and caught a little CNN before going to bed around 10:30 p.m. and was fast asleep. There was a little noise around me but the air conditioning matched it and it was pumping out cool air (it wasn’t too warm, around 88 degrees yesterday)…beautiful. “I woke up at around 1:15 in the morning feeling a bit warm when I noticed the air conditioner was no longer making the glorious sound of relief. I noticed no other forms of light; the power light on the TV, the light letting me know my handy, dandy, African extension cord light to show my phone was being charged. I realized my room was without power. I wondered if there was a generator that would kick in like in other better hotels…over the next four and a half hours I came to realize the answer was no. “It was strange to see no difference between having my eyes open and closed—there was zero ambient light. I could create some light for my phone but it didn’t serve much purpose. I tried to sleep, but the temperature kept going up as there was zero air movement and no outdoor window. I would shift every 15 minutes or so on the bed to get a little cooler and turn the pillow over to the cool side (good hotel—two pillows).Sleep was elusive, so I spent the time in some prayer (I’d like to say the whole period was in solid prayer so someday someone could write a book about me! ), but mostly trying to ignore the temperature and not psych myself out of sleep. At 5:52 am the power came back on and the AC was back on and I got another one and a half hours of sleep before getting up for more interviews in the Maaji refugee settlement. 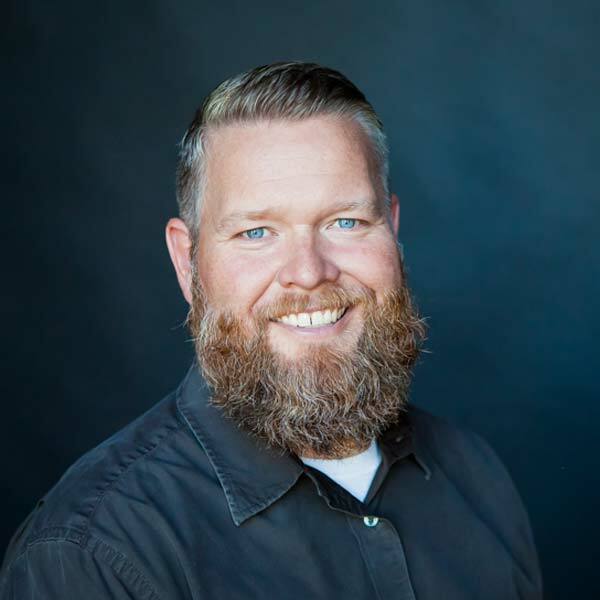 We are very excited to have Glenn Herschberger, the ExecutiveDirector of Church Planting for Converge Great Lakes, preaching at Faith Community this Sunday. Glenn will continue in the Courage and Loyalty sermon series with “To Whom Are You Loyal? (Esther 1.1-3.6). The book of Esther is the only book in the Bible that does not mention God. Yet we see God working behind the scenes in the littlest details to shape our lives and to call us to live for him. There is a difference between what the world wants and what God wants. Esther teaches us to be loyal and to be courageous. Glenn Herschberger has been a part of church plants in several communities in Wisconsin and internationally. He also worked in law enforcement for 24 years and established multiple police chaplaincy programs. In 1999, Glenn planted Real Hope Community Church in Lake Mills, Wisconsin. After 11 years God called Glenn and his wife, Susan, to serve a Converge missionaries, to start an international church in Panama City, Panama.They launched an English-speaking church called LifeBridge International Church in 2011. Currently Glenn serves Converge Great Lakes by training and guiding a church planting movement in a predominately rural culture in Wisconsin and the Upper Peninsula. “A Loving Life: In a World of Broken Relationships” by Paul E. Miller (author of “A Praying Life) Available for purchase in the café area for $12. I loved reading this book in preparation for the current series on Ruth. Miller gives examples of what love can look like in very practical ways and constantly pointed me to God’s faithful love as the fuel to love others well.